One of six children orphaned in the Snowdonia helicopter crash today described how their family ‘changed within a day’ as new pictures of the victims were released. 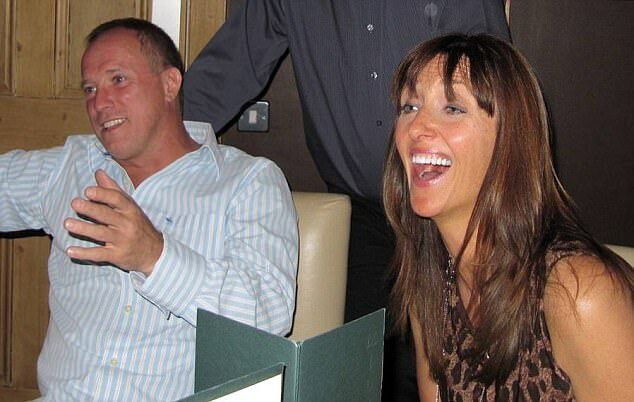 Millionaire Kevin Burke, 56, his wife Ruth, 49, his brothers Barry, 51, and Donald, 55, and his wife Sharon, 48, were all killed in the air disaster last Wednesday. 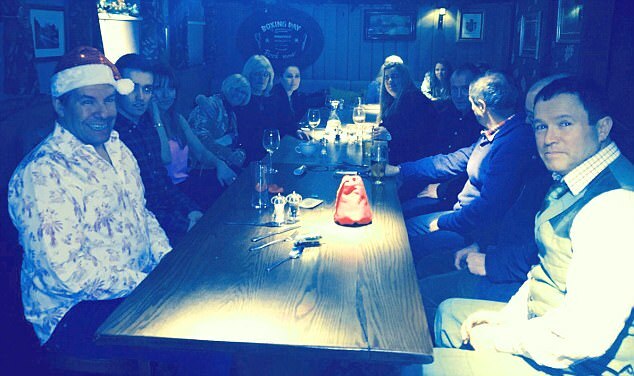 They were all flying to Ireland to surprise their niece at her confirmation party but crashed into a mountain in gale force winds and low cloud. 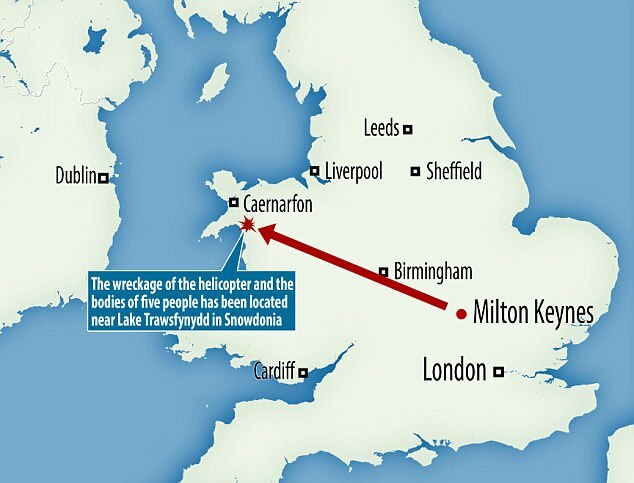 North Wales Police said today that the remains of the helicopter have now been recovered as their griefstricken family spoke for the first time. Donald and Sharon Burke’s daughter Olivia, one of six to lose a parent, said: ‘Our family has changed within the space of a day. They were taken far too soon and it’s hard for us to understand why such a tragedy would happen to the best type of people, who were so selfless and genuine to everyone they met. ‘They embodied every attribute of an amazing parent, sibling, child and friend. That will never be forgotten and will only make us aspire to do them proud’. Sharon Burke’s relative Kath Stewardson said: ‘We would like to take this opportunity to thank everybody for their support and messages of condolences on the loss of our wonderful daughter, sister and auntie, Sharon Burke, her husband Donald, his brothers Kevin and Barry also Kevin’s wife Ruth. ‘We are truly overwhelmed with all your love and support. Our thoughts at this time are especially with Sharon and Donald’s three wonderful Children who are a credit to their parents. ‘We would like to pass on special thanks to all of the emergency services and public who helped in the search and recovery of our loved ones, also the police liaison officers who have been a great help at this difficult time’. 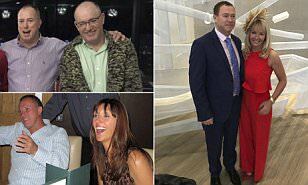 The elderly mother of a millionaire family killed lost all three of her sons in the air disaster. 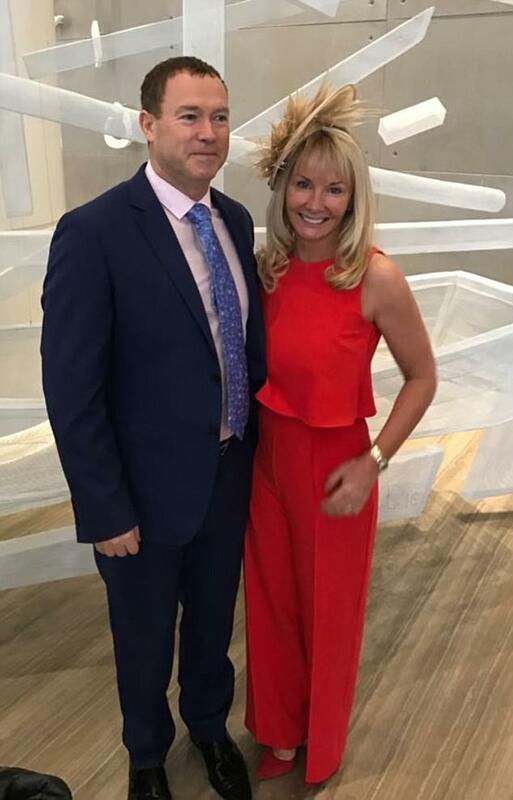 Noeleen Burke has been left heartbroken by the deaths of her ‘generous and loving’ children Kevin, 56, Donald, 55, and Barry, 51, in Wednesday’s crash. 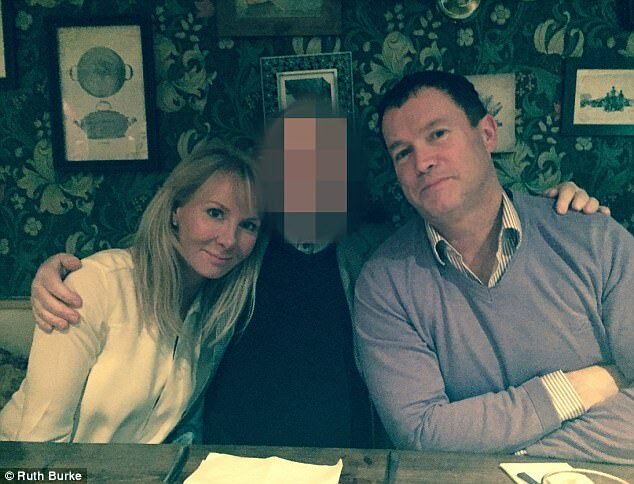 Mrs Burke’s daughter-in-laws Ruth, 49, and Sharon, 48, are dead – leaving six of the victims’ children without parents. Chief Inspector Richie Green at North Wales Police has thanked the local communities and visitors for their support and cooperation. Their officers and others from Thames Valley are supporting the families of the dead. He said: ‘Now those who tragically lost their lives have been recovered and the wreckage removed a further methodical search and examination is required before we can release the ‘scene’. ‘I am very grateful for the continued patience and understanding of the public as we bring this complex and difficult stage of the investigation to a close. 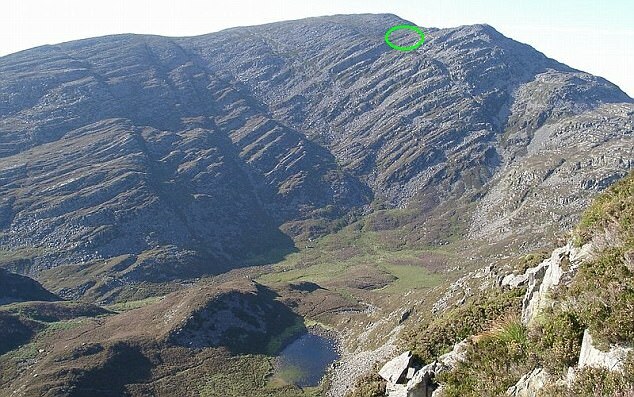 The AAIB will now begin a detailed examination of the aircraft whilst my officers speak with witnesses and to this end we are still appealing to anyone who was in the Rhinog Mountains area of Snowdonia between 12 noon and 1pm on Wednesday. Air Accident Investigation Branch officials have begun looking into what caused the tragedy as the group travelled to a family gathering in Dublin. Enquiries are likely to centre on weather conditions at the time, which were overcast with rain and poor visibility. 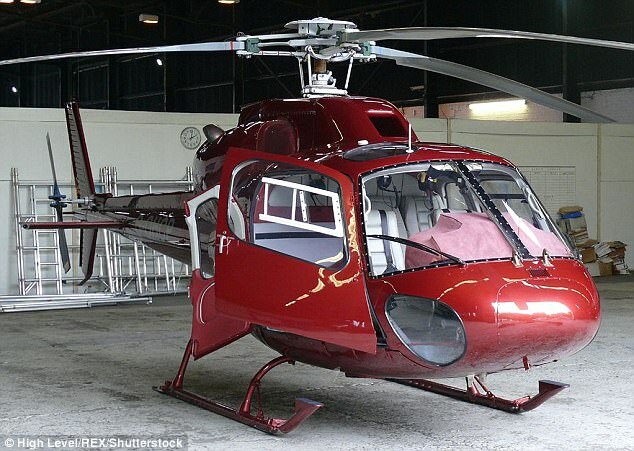 Father-of-two Kevin, a millionaire property developer who owned the helicopter, was described by a relative as a ‘very experienced pilot’. 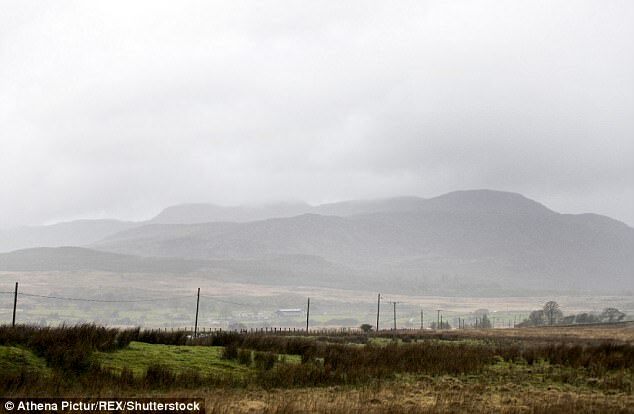 The helicopter lost contact as it passed over North Wales, which was battered by gale force winds, heavy rain and had visibility of less than 10 metres in places because of low cloud. They said: ‘He was an excellent pilot and he had lots of flight hours and he never took risks. A family friend added the group were planning to surprise a niece by turning up at her confirmation. 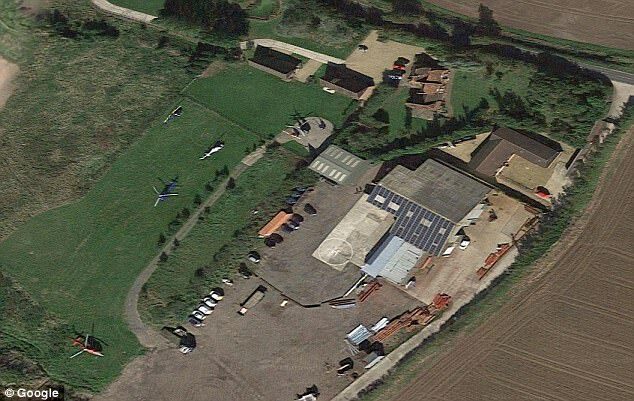 The helicopter left Kevin and Ruth Burkes’ £1.5 million farmhouse near Milton Keynes in Buckinghamshire at lunchtime on Wednesday. The alarm was raised at 4.15pm when it failed to arrive at Weston Airport, near Dublin. Air traffic controllers said there was ‘no indication’ the aircraft experienced ‘any difficulty at any time’. It took search teams nearly 24 hours to find the Airbus-made Eurocopter AS55 Ecureuil II as they battled through ‘treacherous’ conditions and terrain. The search area included a large swathe of the Irish Sea at first.